If you would like to skydive in aid of a charity who provide specialist care for children, then why not choose to tandem parachute jump for the Forget Me Not Children’s hospice? 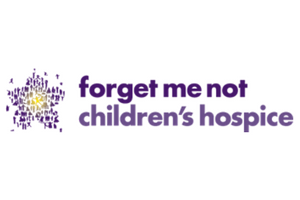 The Forget Me Not Children’s Hospice supports children with life-limiting conditions and their families. The charity began more than 12 years ago as a result of the challenges of a local mum whose son, Russell, became very ill and needed hospice care. She was concerned at the lack of local support, and set about changing this. Twelve years on, The Forget Me Not Children’s Hospice is now a reality. In October 2010 the charity began supporting children and families through its hospice at home service and in December 2012 opened the doors of Russell House, it’s own state-of-the-art Children’s Hospice. The charity cares for over 50 children and their families, but with a further 700 children in the Calderdale, Kirklees and Wakefield area who could need their support, the local communities support is vital. It costs £2.5 million per year to run the charity, of which just 4% comes from government funding. The Forget Me Not Children’s Hospice ask you to raise a minimum of £400 per person to take part in a charity skydive. Every extra penny over this amount also goes to the charity so try and raise as much as you possibly can. It’s not every day someone does a parachute course, so this should help you raise funds with ease. The hospice has already set three event dates for 2017. You must book and pay your deposit no later than eight weeks before the jump date to secure yours so make sure you book in time! Please contact Forget Me Not Children’s Hospice for further details and support with your fundraising.